Apple has released watchOS 5.0.1 to the public, with the minor update to the Apple Watch's operating system fixing a charging issue, as well as activity-related problems that hampered attempts by users to close their rings. 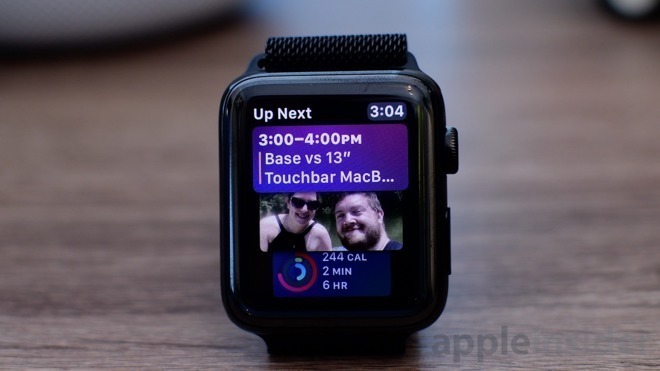 Landing 10 days after the release of watchOS 5, the new watchOS 5.0.1 is a performance and bug fix update to the wearable device's software. Along with the general improvements advisement, the release notes for the update highlight three issues it fixes. The first solves a problem where a small number of users seeing increases in exercise minutes, making the tracking of user activities throughout the day inaccurate. A second bug fix addresses an issue where some users did not receive Stand credit in the afternoon. A third highlighted fix was to do with an issue that could have prevented the Apple Watch from charging at all. To update the Apple Watch, open the Apple Watch companion app on the connected iPhone, and tap the My Watch tab. Under the General section, select Software Update and enter the passcode if requested.